Beautifully maintained family home with incredible MOUNTAIN VIEWS on CAMBIE CORRIDOR PHASE 3 TOWNHOUSE SITE. Rare opportunity to own a bright, spacious, SOUTH-facing home on the HIGH SIDE of the street, just minutes from King Ed Skytrain and QE PARK. 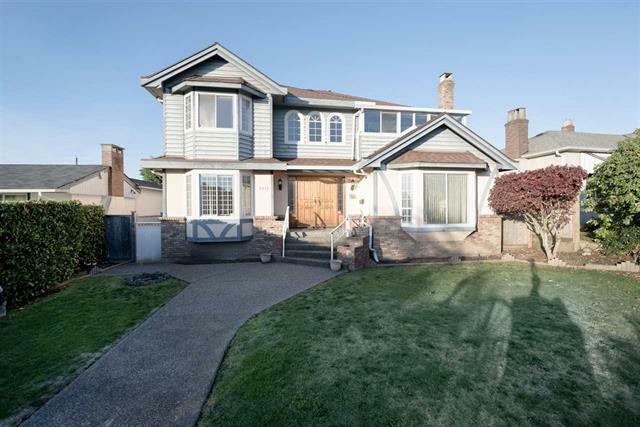 At almost 4,200 sqft, the home features a stunning overheight entrance foyer, sunny living room, spacious dining room, and bedroom + full bath on the main. From the kitchen, elegant French doors open up to a large family room with covered sundeck. 4 amply sized bedrooms upstairs and 3 full baths, with a luxurious master ensuite. Finished basement features separate entrance, rec room, extra bedroom & private sauna. Low maintenance backyard completely paved with two garages! Amazing FUTURE REDEVELOPMENT POTENTIAL! OPEN HOUSE SAT & SUN 2PM-4PM.